At Core Fitness and Physical Therapy we use Balanced Body Pilates equipment for all of our Physical Therapy and Pilates needs. 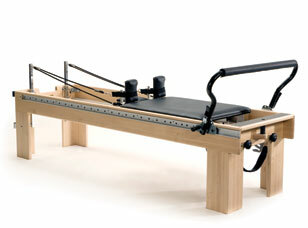 Our equipment includes the Reformer, Chair, Springboard, Tower, Spine Corrector, Foot Corrector and Magic Circle. We also utilize other non-traditional Pilates props such as the Foam Roll, Therabands, Weights, Bosu and more. Our goal is to combine traditional Physical Therapy modalities with Pilates methodology, so a therapy program might include the use of Ultrasound, Massage, Be Activated, Cervical Traction, Heat/Ice and other therapy-specific tools and techniques, in addition to Pilates full-body training. For more information on our studio equipment, visit the Balanced Body Website. Additional Partnerships include: Isagenix, Pfilates, and Be Activated. – Make an ISAGENIX purchase. – Learn more about Pfilates. – Learn more about Be Activated.